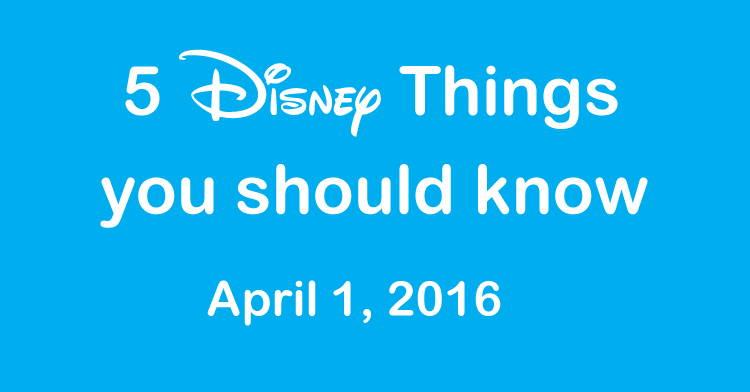 While it has been very strange that this has not happened years ago, Disney and LEGO have finally announced they are producing a line of Disney themed LEGO minifigures starting in May, 2106. Prices should start at under $4 for each minifigure. 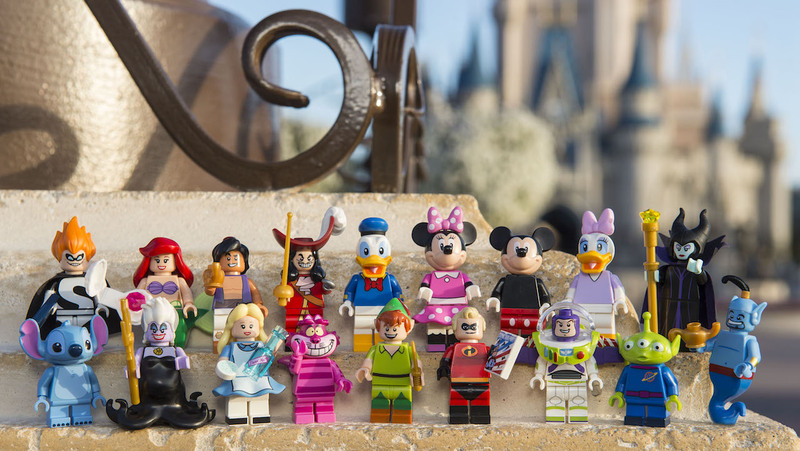 They will be available for sale at World of Disney as well as the LEGO store in Disney Springs (and most likely Downtown Disney at Disneyland), as well as some other, yet to be announce, retailers. Hopefully they will be available online as well. Each year, Epcot offers great concert series, including during the Flower and Garden and Food and Wine Festival. One of the best is the Sounds Like Summer concert series, which feature cover bands of your favorite rock groups. Three new acts have been added this year! 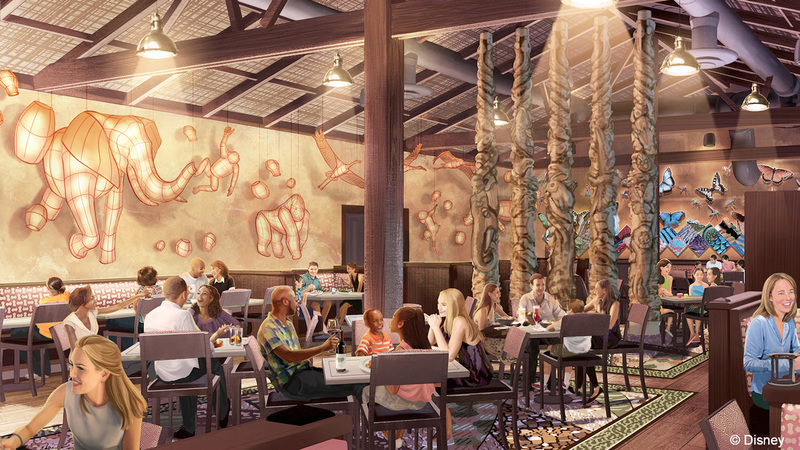 More details have been released about Tiffin, the new restaurant that will be opening this year in Animal Kingdom. “Tiffins is the signature restaurant at Disney’s Animal Kingdom, celebrating the culture of design and research that went into creating this unique park,” said Emily O’Brien, Walt Disney Imagineering executive show producer for Disney’s Animal Kingdom. The galleries, or dining rooms, focus on Asia [Trek Gallery with 74 seats] and Africa [Safari Gallery with 64 seats], and the third [Grand Gallery with 114 seats] pays homage to animal species that the Disney Conservation Fund works to protect. It looks like more information on food and the opening date will be given soon. The Disney California Adventure Food and Wine festival opens today, and runs through May 1, 2016. While not the West Coast equivalent of Epcot’s festival, Disney still offers great food booths and events for Disney guests. Thinking about going to Aulani this Summer? Who wouldn’t love that? If so, you can get free airport transfers plus a one day free car rental! 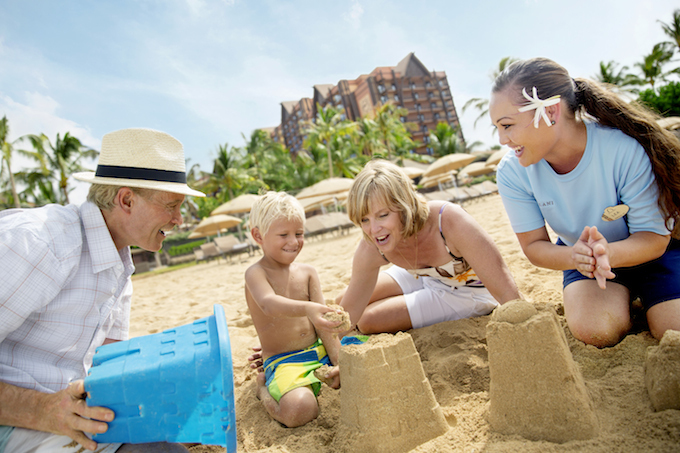 For a limited time, you can receive free round-trip transportation from the airport to Aulani, A Disney Resort & Spa, plus a free 1-day mid-size Alamo car rental, when they book your stay of 4 consecutive nights or longer at Aulani through Walt Disney Travel Company. This special offer is available for select stays June 14 – August 15, 2016. Book now through June 2, 2016.